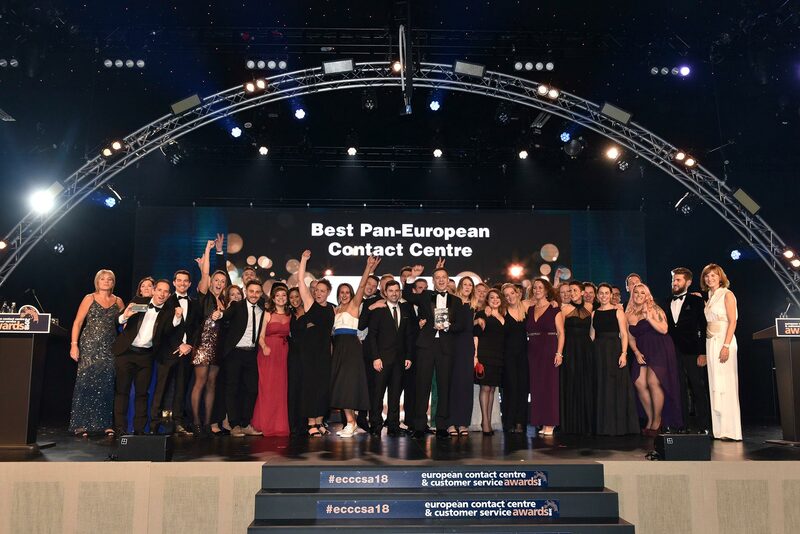 The winners of the 2017 European Contact Centre and Customer Service Awards (ECCCSAs) were announced at a spectacular ceremony on 28 November at Evolution in London. It was billed as the biggest industry awards with entertainment all evening, and guests were not disappointed. Over 1,100 guests were entertained with amazing acts from around the world before winners were announced by Fiona Bruce, with support from Olympic Gold Medallist, Steve Redgrave. “On behalf of the organisers, I’d like to thank all those that entered this year, the sponsors and the judges for their support, and to congratulate everyone that won a gold, silver or bronze award. The competition was tough and if you won, you earned it,” said Ann-Marie Stagg, Chair of the Judges.